The original Annie Abbott, "The Little Georgia Magnet," was Dixie Annie Jarratt Haygood of Milledgeville, GA. She observed Lulu Hurst, the "Georgia Wonder," on stage and began some of the same exhibitions, although she claimed to have "the power" from when she was a child. 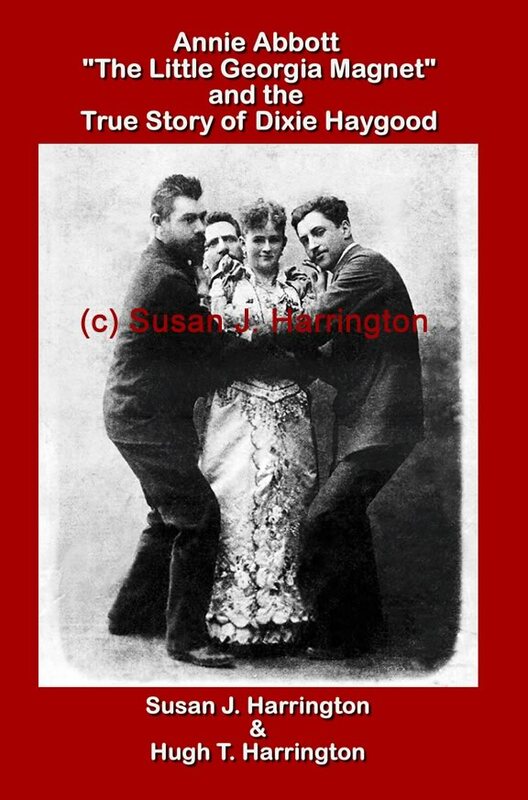 She took on the stage name of Annie Abbott about 1889. 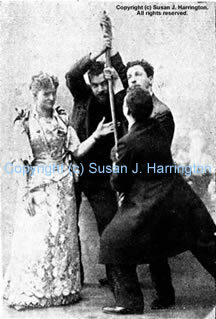 Annie Abbott (or Annie May Abbott) was known for being able to withstand the strength of some of the world's strongest men, such as Charley Mitchell and Eugene Sandow. Scientists were baffled whether her power was spiritualism, magnetic force, hypnotism, magic, or something else. She traveled the world and performed before royalty, including the Prince of Wales. Dixie Haygood in an early publicity photo from Macon, Georgia. This picture was found in the descendants' files, retouched and placed on the Memory Hill website by the Harringtons, and has since been replicated widely across the web.